﻿ Home - Goodness & Daigle, P.C. Goodness & Daigle, P.C. has served our local community with an emphasis on personalized professional service. We specialize in tax planning, preparation, and filing for individuals, corporations, partnerships, and fiduciaries, in addition to providing our clients with general accounting and financial services. Given the complexity of ever-changing tax laws, you need a tax advisor who can ensure that you've complied with the law, and can help you claim valuable deductions and credits you may never have considered. At A Goodness & Daigle, P.C., we continuously monitor federal, state, and local tax law changes to assess their impact on our clients, and we pledge to prepare your tax returns in the best-informed, most ethical manner possible. In addition, we will work with you year-round to plan and implement a tax strategy that can help to minimize your total tax burden. 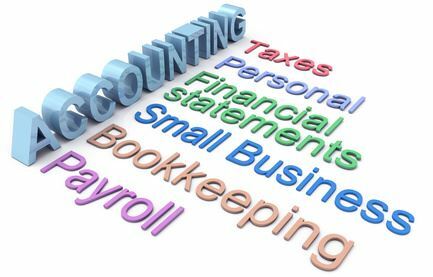 At Goodness & Daigle, P.C., you don't simply bring your taxes and other accounting needs to a random and impersonal staff member. We match you with an accountant with whom you are thoroughly comfortable, so you can count on forming an ongoing relationship with a trusted business advisor.